Can I park in a bus stop? Why do we have bus stops? How do I know what the restriction times are? 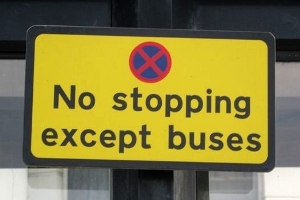 Are bus stops enforceable on a bank holiday? I have received a Penalty Charge Notice when parking in a bus stop, what do I do? You cannot park in a bus stop, only a bus can use a bus stop or stand. 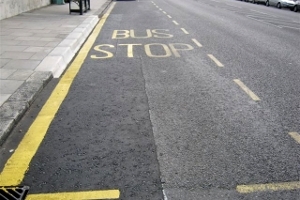 Bus stops are there so that a bus can pick up and drop off passengers safely. They also ensure that bus services run on time. The sign on the street will tell you this. If no times are shown the bay operates at all times, 24 hours a day and every day. We are now issuing Regulation 10 Penalty Charge Notices. This means that if you are seen, by a Civil Enforcement Officer, to be parked on a on a bus stop we can issue a notice by post. This will be sent to the registered keeper of the vehicle.